Today is supposed to be the last nice day for a while. We’ll be back to blustery days well below freezing in under 24 hours. Since today is a gorgeous open-the-windows sort of a day, all that snow and ice will invariably melt as it hits creating a very slippery ice layer underneath the later snow. 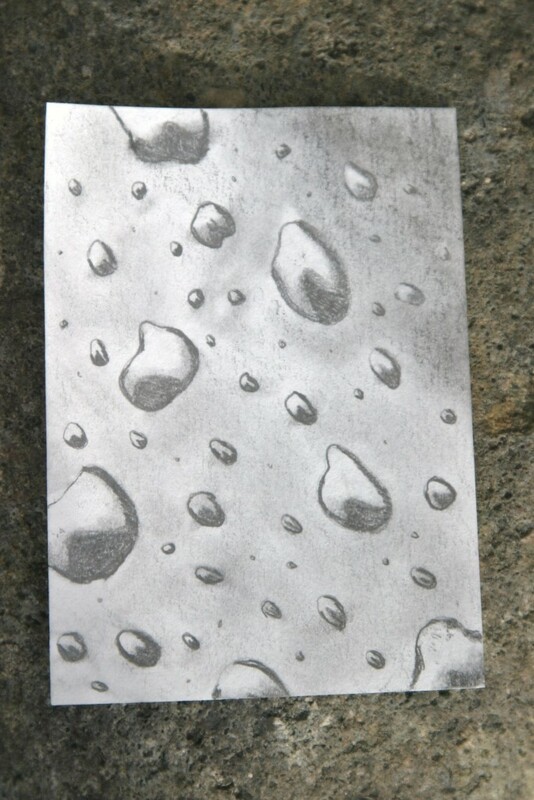 Our theme is those melted drops of water just as the wintery precipitation starts. I used the negative painting techniques demonstrated in this video by MyPetiteCakes on YouTube. 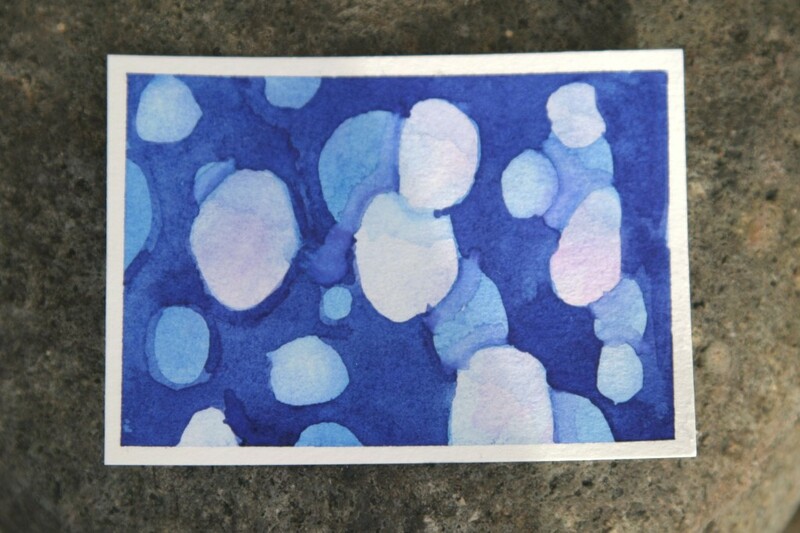 I need more practice, but it was lovely to get to try out the technique I found a couple days ago while perusing videos about watercolor! 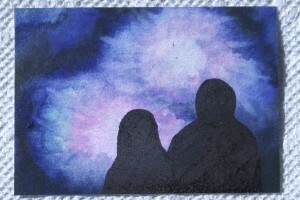 I will definitely be doing both watercolor and acrylic galaxies sometime soon too. Those look like such fun!